Fly in to the heart of the coast - to Brunswick Golden Isles Airport (BQK). 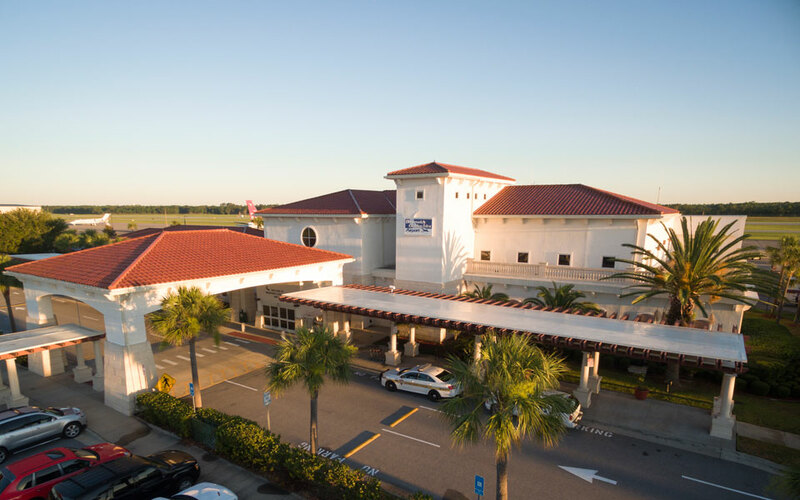 Your vacation starts at our beautiful terminal - more like a Mediterranean resort than a regional airport. Rent a car right on site from Avis, Budget or Hertz, and take a short drive to the Golden Isles - St. Simons Island, Sea Island, Jekyll Island, and Little St. Simons Island. You'll be on island time in no time!  We're just a short hop from Hartsfield-Jackson Atlanta International Airport. 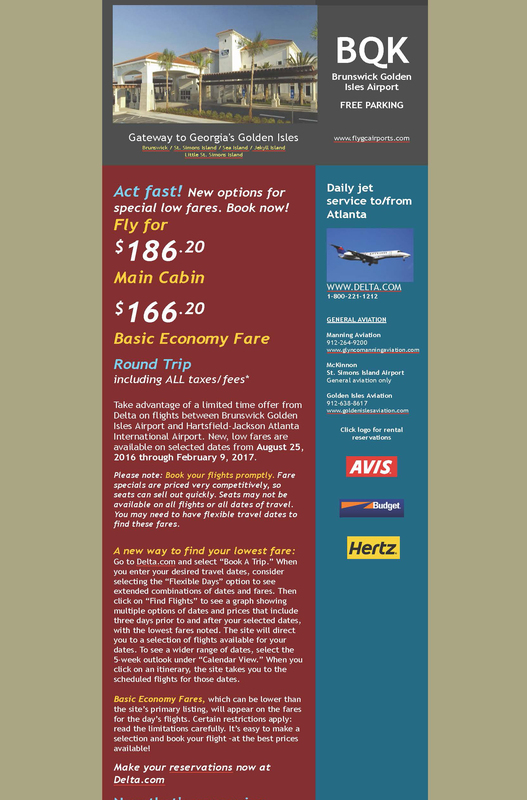 Daily service to/from Hartsfield-Jackson Atlanta International Airport (ATL) via the Delta Connection aboard 50-passenger Canadair jets. It's a short 37-minute flight. McKinnon St. Simons Island Airport is a bustling general aviation facility serving St. Simons-Sea Island business and vacation travelers with the most up-to-date services in an atmosphere of an island getaway.